Only sizes 36D, 38D and 38F one in each size available now!!! Brooks #350042 Jubralee no wire sports bra. 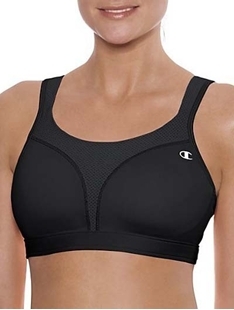 Sleek and modern, our most supportive open-back Brooks sports bra is simple to get on and off thanks to a soft-padded, adjustable back closure that also offers perfect fit and great support. Bonded straps are front-adjustable for a customizable fit on the move, and molded cups with limited stretch maintain shape and increase support for total control every time you gear up.